Phoenix, Arizona death metal horde, LAGO, has booked a tour of the West Coast of the country this Spring, supporting their debut LP, Tyranny. The album, initially released to excellent critical acclaim in September 2014 via Battleground Records, will now see a vinyl edition courtesy of Blood Harvest Records, who has just unveiled the details on the wax version of the brutal record. 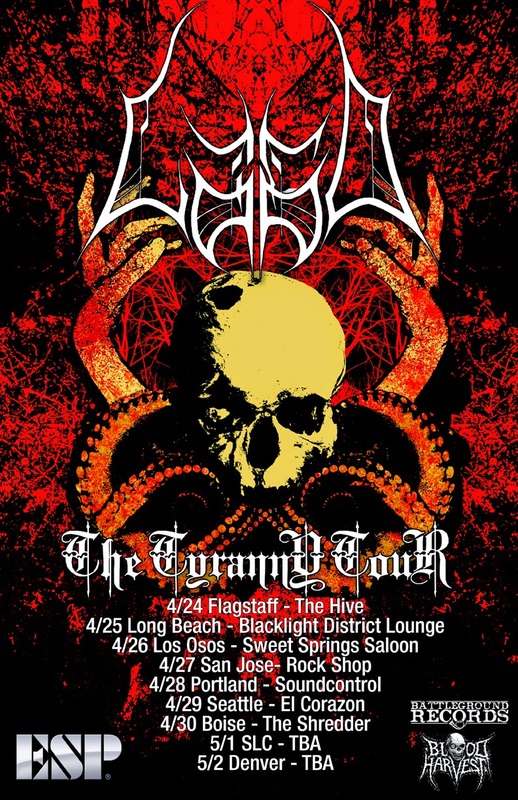 From April 24th through May 2nd, LAGO will inundate the Western US masses with their dominating, ominous black-tinged death metal retribution on the Tyranny Tour, with shows in Flagstaff, Long Beach, Los Osos, San Jose, Portland, Seattle, Boise, Salt Lake City and Denver confirmed. Updates to the tour, additional LAGO live actions and further news on the band can be expected in the coming weeks. Tyranny will see its vinyl debut on March 16th, with 100 copies on blood red and 200 on standard black vinyl. In addition, LAGO also just secured an ESP guitar endorsement, only solidifying the band's deadly capabilities even more. Preorders for Tyranny on red vinyl are available through Blood Harvest Records HERE, on black vinyl HERE and on CD via Battleground Records HERE. Produced by Ryan Butler at Arcane Digital Recording (Exhumed, Phobia, Landmine Marathon) and mastered by Dave Shirk at Sonorous Mastering (Incantation, Exhumed, Today is the Day), LAGO reigns down forty minutes of primal, breakneck death metal with an ominous, blackened atmosphere, the album including a guest appearance from Jonny Davy of Job For A Cowboy. 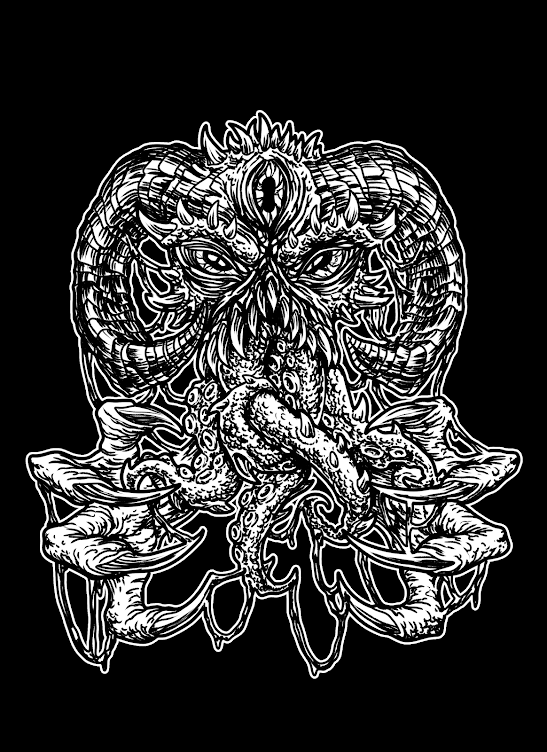 Issued Invisible Oranges, "the Phoenix quartet plays competent and well-executed death metal... Besides a blackened foray here and a chamber music segue there, they blast along like streamlined icons, strengthened by a proven Floridian flow." MetalSucks called in an equally positive write-up: "LAGO know when to beat you over the head with sheer brutality, they know when to slow things down for gargantuan effect, and they know how write a real, artful guitar solo. In short, they're the perfect death metal band." Headbang Or GTFO gave the record a 5/5, issuing, "Tyranny is a modern day death metal masterpiece, that features some of the best things to happen to the genre but keeping it simple and relatively grim. And No Clean Singing called Tyranny, "...top-shelf death metal, like some hellish blackened offspring of early Morbid Angel and Disma, fully armed with an arsenal of impressive technical chops and infectious hooks...Tyranny has vaulted onto our list of highly anticipated 2014 albums."